Due to unforeseen circumstances 3 breweries had to cancel. Brewery Van Den Bossche, Brewery Donum Ignis en Brewery de l’Attrait won’t be present at the Zythos Bierfestival next weekend. Luckily we found some worthy replacements. Beerfirms Brabance (Stand 75) and FDW Brands (Stand 27) will be joining us. Brewery St. Bernardus moves from stand 70 to Stand 79. This way both Brewery St. Bernardus and Brewery Dupont (Stand 70) will have their own stand. Updated exhibitor- and beerlists can be found here. 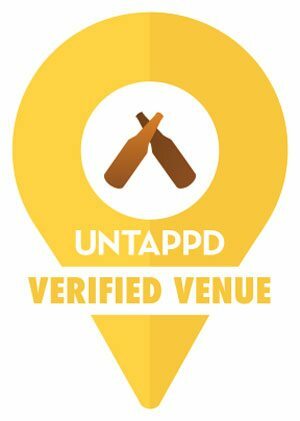 You can now find our full beerlist on Untappd. Do you have your ZBF 2019 wishlist ready? We are offering a record amount of beers this year. You’ll be able to choose from no less than 587 different Belgian beers. To make your search a little easier we’ve made you a list with all the beers that will be launched at the Zythos Bierfestival and a list with the exclusive beers. The exclusive beers won’t be served anywhere but the ZBF 2019. You can find the full beerlist at here. Our technical issue is fixed sooner then we thought. Presale can officially start. Buy your starterpack now and enjoy our lovely discounts. 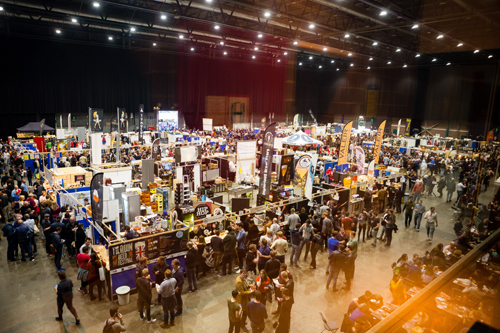 April 27th and 28th we’ll fill up the Brabanthal in Leuven with 100 Belgian breweries and beer companies. 2019 hasn’t started yet, but we’ve been busy with the preparations for ZBF 2019. Mark April 27th and 28th in that brand new 2019 agenda. 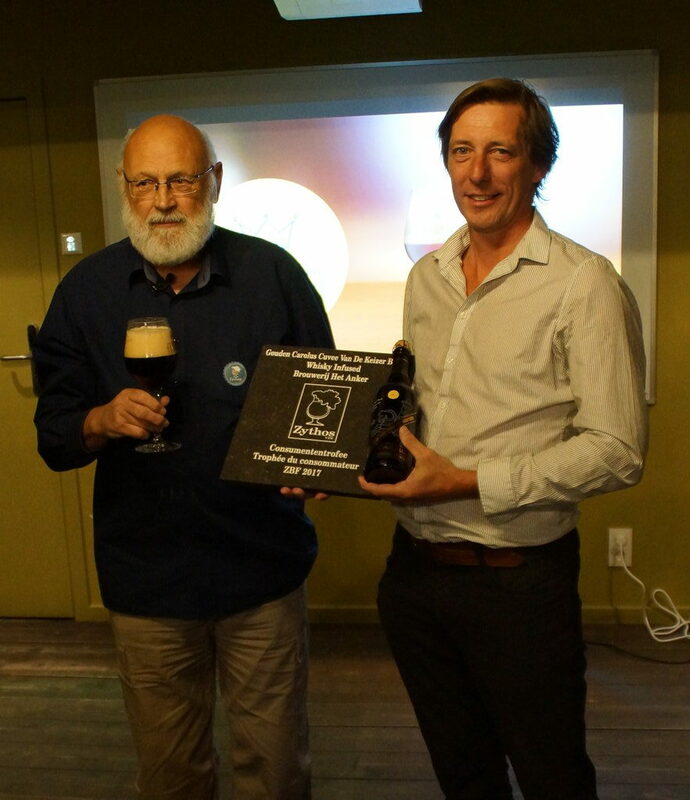 You chose Gouden Carolus Cuvée van de Keizer Whisky Infused by Brewery Het Anker as the best beer of the festival. Het Anker takes home the Consumer Trophy for the 2nd time. They also won in 2008 with the Gouden Carolus Hopsinjoor.